Let me begin by saying that I am a fan of GGG’s and that I picked him to win the fight on Saturday versus Danny Jacobs. I am a fan of Danny’s as well on a personal and a professional level. Great person, very good fighter and an inspiration to many, many people due to his overcoming Cancer. Physically and stylistically he was sure to present the biggest puzzle of GGG’s career but ultimately I had to figure that Golovkin would win out due to supreme punching power, constant mental and physical pressure and uncanny punch placement. Lemieux Turns Stevens’ Lights Out in Three! David Lemeiux versus Curtis Stevens, 12 rounds on HBO at the Turning Stone Casino in Verona, New York is a fight I have personally felt for several years now was the best pure match up to be made at 160 pounds. Titles, money and networks aside, just in terms of the two fighters in the division who matched up the best, this was the middleweight fight I’ve been waiting for. Was Floyd Mayweather Jr. 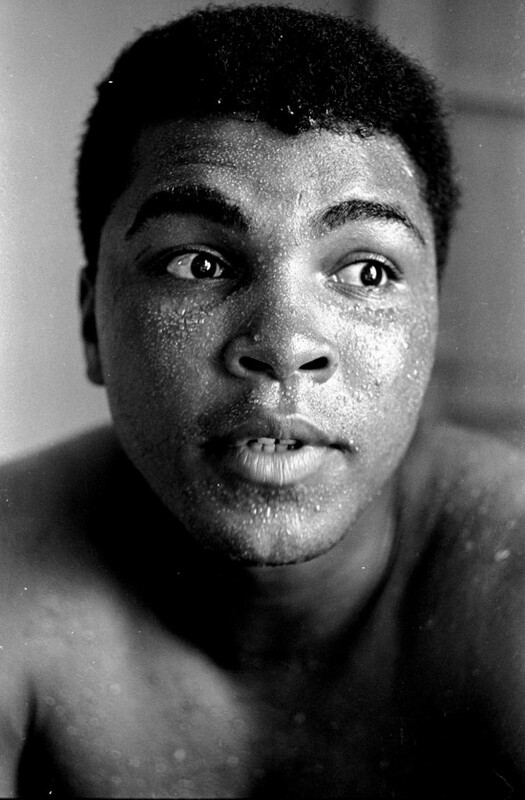 Greater than Ali, as He Claims? Floyd Mayweather says he is GREATER THAN MUHAMMAD ALI. LAS VEGAS — Former champ (and opponent of mine) Michael Nunn calls me at the designated time this past Saturday in Las Vegas at my fifth Official Amateur Boxing Reunion (held at Russ Anber’s Rival Boxing Store on Sunset Road) so that I can put him on the phone with his former professional opponent (they fought in 1986) Alex “The Bronx Bomber” Ramos. I also put Michael on the phone that day with 1984 Olympic Champion Paul Gonzalez and former world title opponent Merqui Sosa.